Federal safety officials are currently investigating a fatal New Port Richey church van crash in north Florida that involved the failure of a tire that was apparently part of a July 2012 product recall. 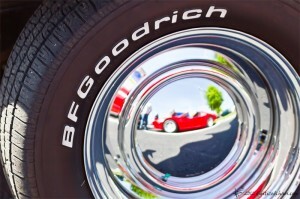 According to the National Transportation Safety Board, the tire involved in the crash, a two-year-old BFGoodrich Commercial T/A A/S, was part of a product recall initiated by BFGoodrich for roughly 794,000 tires. The van from the First Baptist Church in New Port Richey was traveling on Interstate 75 near Lake City on Feb. 21 when its left rear tire blew out, causing the driver of the van to lose control of the vehicle. As a result of the crash, two adults were killed, while another adult and seven children were injured. The NTSB will be examining the tire and reviewing the effectiveness of the recall process in order to determine whether or not the First Baptist Church ever received the safety recall notice. Tire defects are not usually visible to the untrained eye and can pose the serious threat of tire failure, which can increase the amount of damage and number of injuries that occur during a car crash. Tire failure is extremely dangerous on the roadways as this particular case shows, due to the fact that it can cause a driver to lose control of their vehicle, which often leads to serious car accidents. Moreover, tire failure increases the risk of vehicle rollovers, which poses more of a threat in larger, less stable vehicles like SUVs and vans. If you or a loved one have suffered harm due to a defective tire, it is very important to make sure and keep that tire so that it can be thoroughly examined by experts to determine if the defect caused the accident. After a crash of this nature, you should speak to an injury lawyer as soon as possible so that the tire and other valuable evidence can be preserved and examined by experts right away. In the last decade there have been several massive tire recalls due to defective tires produced by outwardly respectable companies. While recalls can protect the lives of drivers and passengers alike, they are not enough to protect the public from harm. Tire manufacturers must be held accountable when it comes to making safe products, especially when they cause injuries or death to innocent victims. If you or someone you care for has been involved in an auto accident involving tire failure, please do not hesitate to contact a Pasco County Auto Accident Attorney at Whittel & Melton to learn more about your legal rights and options through a free and confidential consultation. Call us today at 727-847-2299 or visit us online.